Swept spreaders and user friendly, Rags is a great party and cruising boat. Total package with Dalaruan Villa, Rags, staff and facilities is US$300 a day. Special rates can be negotiated. Sandoway is ideal for serious racing sailors to have winter racing practice in warm tropical waters when it is too cold at home. Total package with Dalaruan Villa, Sandoway, staff and facilities is US$350 a day. Special rates can be negotiated. Cruiser / racer yacht in Subic Bay for sunset cruises, bay sailing, day sailing, overnight. Enjoy the cruiser racer yacht "Sorcerer". Sorcerer, is an Irwin 37'. 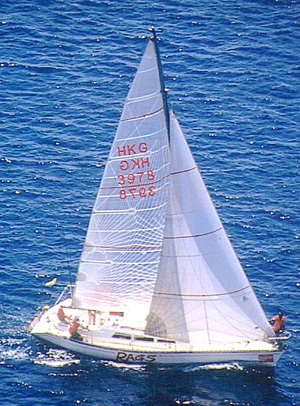 Originally designed and built to race in the IOR One Ton Design offshore racing circuit by Ted Irwin, for Ted Irwin himself. 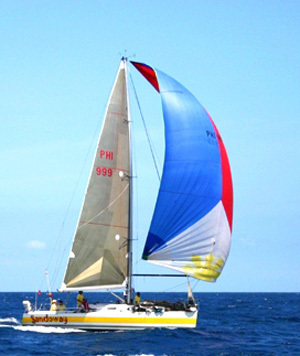 Sorcerer is a Cruiser/Racer that performs well and is great for an afternoon or weekend sail. Want to go further than Subic Bay? 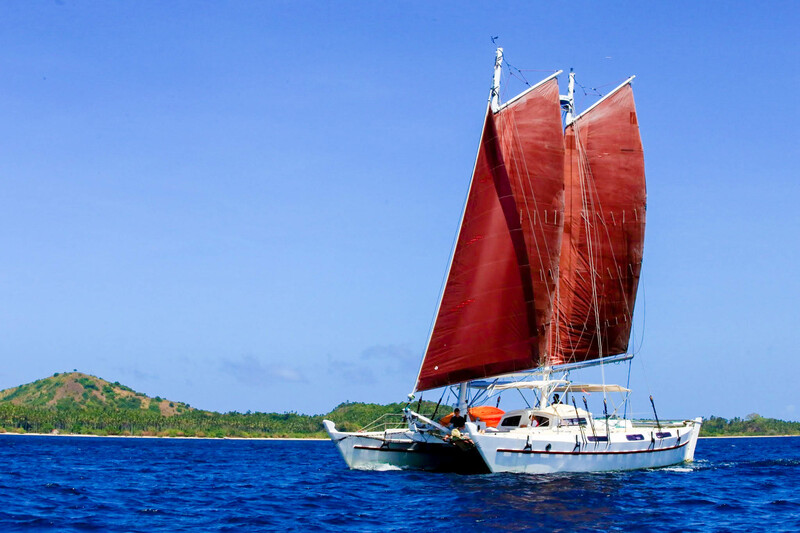 Sorcerer is also available for yacht charter anywhere in the Philippines, with Philippines-experienced crew provided. 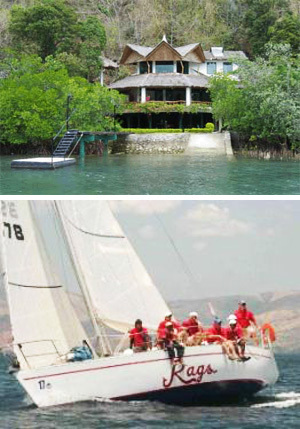 Waterfront Villa and Sailboat for rent separately or combined. Tranquil, spacious two bedroom villa set in its own grounds overlooking Dalaruan Bay, Puerto Galera. Full-time housekeeper. Good for 4 - 8 people. Dinghy and Hobie 16 available.